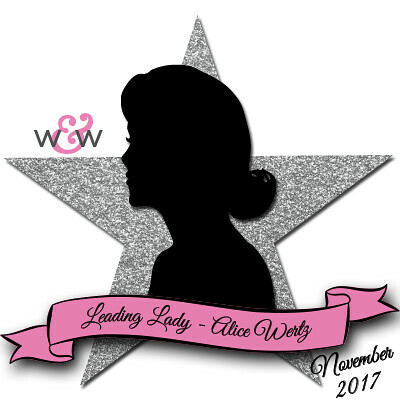 Our our November Leading Lady Alice Wertz is back for her triumphant third performance! If you missed her smashing debut you must see it...CLICK HERE or her sensational second performance with a lovely colorful impact CLICK HERE. Today's card is incredibly dynamic and so worth the effort! Hello, all! =) Here is my card for this week's Leading Lady post. This week I decided to play with the Cover Model: Do You See What I See? Cutaway. 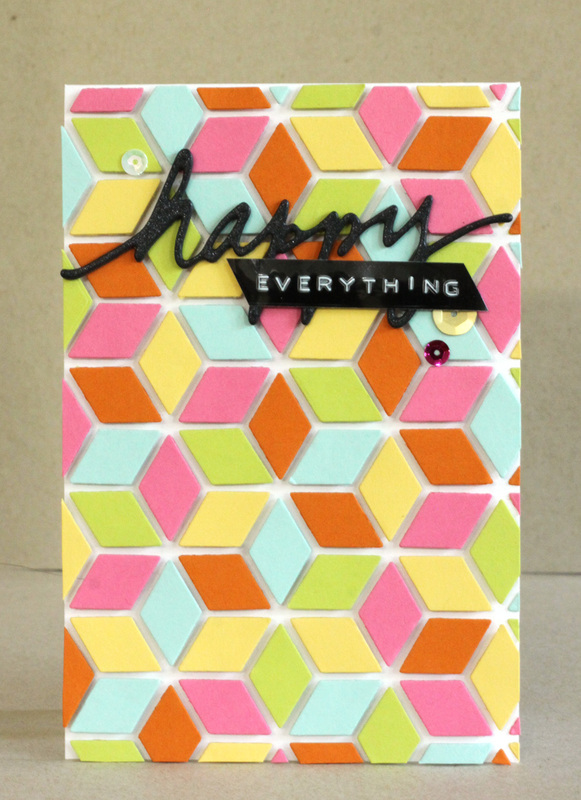 I used cardstock in Winnie & Walter colors and used the negatives of the die cut for a colorful background. Once again, I used a cutout of the frame as my guide when I glue those little shapes with foam tape. 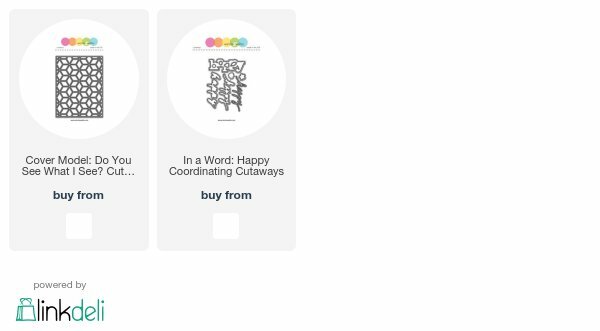 For a colorful background like this, a dark sentiment would stand out best, so I used one of the happy words from the In a Word: Happy Coordinating Cutaways and shimmery cardstock for the first part of the sentiment. Since stamping on the background would be challenging, I used my Dymo label maker to create the second half of the sentiment. Another fabulous card! Love it!!! Love the dimension and color combo! Super fun card--love that you used the W&W colors! Beautiful colors and dimension. I appreciate all the work you put into that. Wow! This intricate and unique design is so impressive and beautiful. Love how you used the negative die pieces! Fabulous card! Love the contrast of the black words (and label)) with the brightly colored background. That looks like a lot of work, but the results are stunning!! Love the colorful background you created. What an amazing card with a real retro vibe!! Love it! Your creation is really awesome! Gr8 use of negative dies with such dimensions, love it! to use the cut outs! That's a great graphic card ! This is an absolutely amazing card! Love the colours!